Do you want to create a beautiful garden? No matter how small your space, there are design principles you can apply to beautify your balcony, porch or yard. Beautiful gardens appeal to our senses. The colours and immense diversity of design combinations, fragrance, flavours, sounds from birds and insects attracted to the plants and variety of textures. Go for a drive around your neighbourhood and take notice of the gardens that catch your eye or next time you visit a friend’s garden, be observant and tune in to what you love about it. No doubt they will be applying some design principles and elements that apply whether they are used in art, graphics, building, interior or garden design. 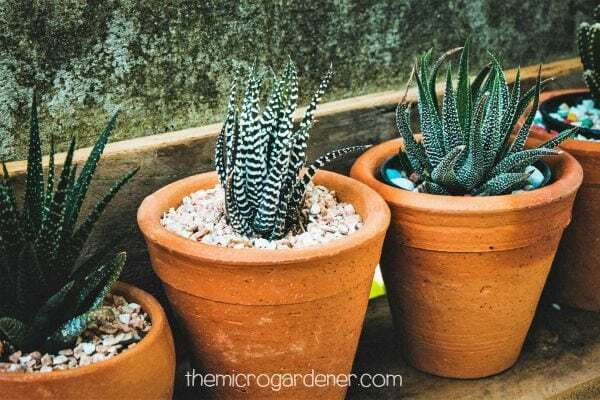 Simple concepts can make a HUGE difference to the enjoyment of your garden space and particularly so, when it is a micro garden. Designers use these principles all over the world to make spaces really stand out and visually beautiful. Less really can be more if you know how. 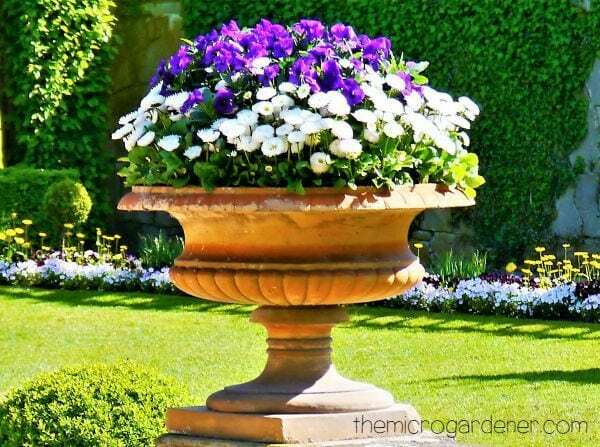 An elegant terracotta planter is used as a focal point with purple and white flower theme. Understated beauty and a simple garden feature. Splashes of colour break up green, provide variety, contrast and focal points. Try sowing both annuals and perennial flowers. e.g. cosmos, hydrangeas, sunflowers and marigolds. You don’t specifically have to plant flowers though. A wide range of herbs and vegetables have beautiful flowers too. These include: chives (purple), spring onions (white), dill (yellow), thyme (pale pink to purple), basils (white or purple), pineapple sage (red), rosemary (purple), rocket (white), as well as all flowering vegetables and fruits. Beneficial insects will also be attracted to your garden and they will happily pollinate and clean up any pests for you. Flowers are a ‘win-win’ in any garden. Flowers have an amazing ability to beautify any space – just pick your favourite colour theme. Remove weeds before they go to seed. 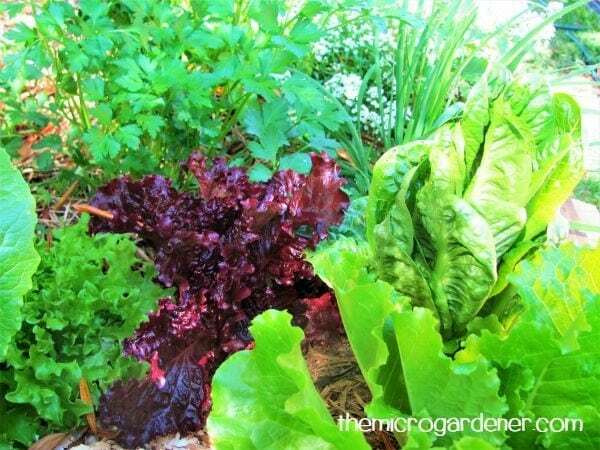 Compost plants that compete with what you really want in your garden. 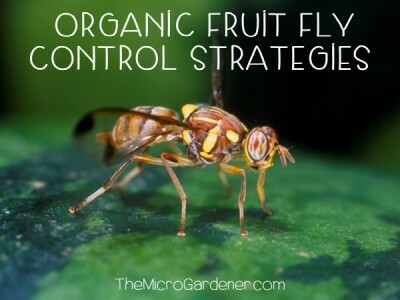 Why waste money by sharing your plant food and nutrients with freeloaders? Adding an attractive and practical mulch will deter weeds from setting seed. Create a collection of plants with the same foliage or flower colour for greater impact. Theming an area of your garden by clever use of colour is an easy trick to use. Stand back and take a look at the colours in your garden now. Could you move them around for better effect? For example, putting a punnet of four or six of the same coloured flower in a container for mass planting has a greater effect than just adding one flower. Surrounding these with another contrasting colour will ‘frame’ the picture. This simple principle adds balance and uses another design trick – repetition. You can also achieve this simple technique by planting along the edge of a garden bed with a border plant. 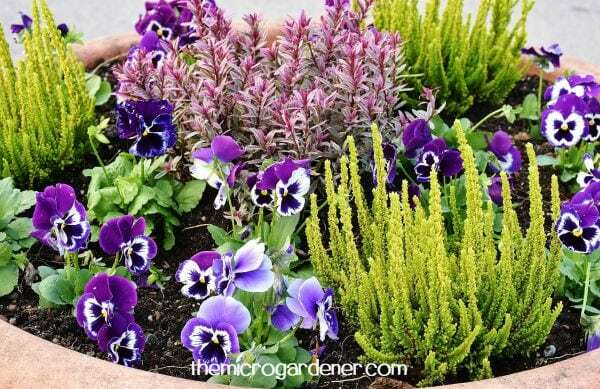 Or highlight the shape and colour of the container with repeated plantings. White, silver or grey and blue work well when they are teamed up with most other colours. Garden art can be any ornament, collection, treasured find or something you make. When you add decorative items to your garden, it reflects your personality and adds character to your small space. Stand back and see what the space needs. Perhaps a pot could be jazzed up with a small ornament. Do you have a bare wall that you need to hide? Are you renting and you can’t paint the external walls? If so, try hanging a bamboo blind as a backdrop to your plants. Or staple some fabric to a lightweight timber frame in a contrasting colour and then position your pots and furniture in front. This is portable decorating and can really help you enjoy your outdoor space for very little cost. You can also use this concept indoors. Do you have a special pot that makes a statement? Or a heavy weight pot or one with a beautiful fruit tree or favourite plant in it? You can again use design techniques to make this element look more important. 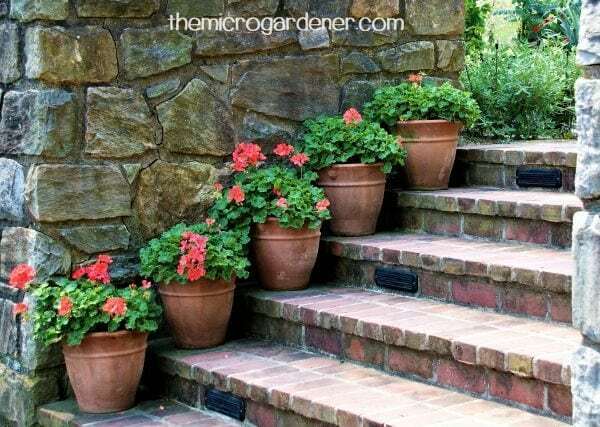 By contrasting the size of the plants or pots you surround it with, you can create dominance with the pot you want to highlight as the key feature. 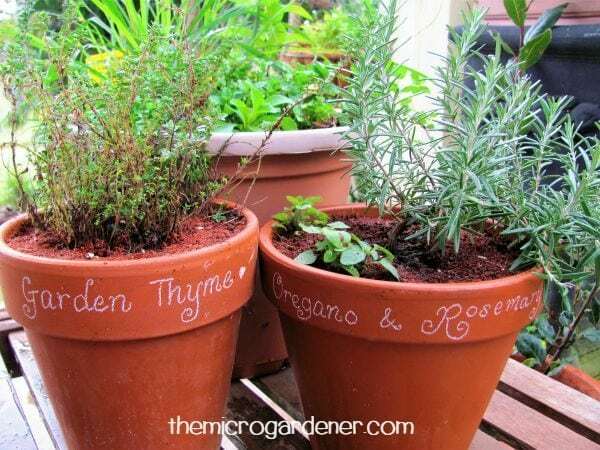 Ensure the ones you put around it are smaller than the focal pot. This helps to create unity, as the eye focuses on the feature pot and then around the rest of the surrounding garden. Herbs provide fresh ingredients for the kitchen, have edible flowers, make attractive borders and pleasing aromas. Choose herbs like curly leafed parsley, clumps of chives, mounds of lemon thyme and compact Greek basil with marigolds, violets and tatsoi. Not only do they provide variation in colour but add beauty, flavour and structure too. Achieve a beautiful garden by repeating a colour provided by a variety of different plants. Yellow/Orange: e.g. yellow capsicums; orange marigolds; calendula; cherry tomato varieties like ‘yellow pear;’ nasturtiums; orange chard; cosmos; and yellow chillis. Purple: e.g. 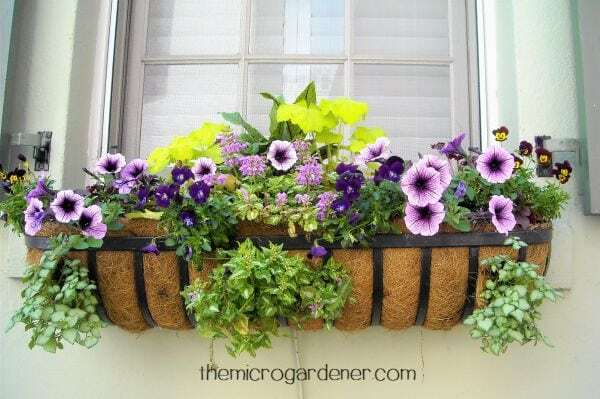 a wide variety of sages; purple basil; thyme; eggplant; beetroot; rainbow chard; rhubarb; rosemary and chive flowers; some lettuce varieties; alyssum (purple flowers); ajuga purpurea; lavender; violet; geranium; viola; and petunia. White, Grey & Blue – these colours go with everything: e.g. blue/green leeks; sages that have blue flowers (most of their flowers and leaves are edible); culinary sage; alyssum (white); cauliflower; and some cabbages. Choose a focus plant such as a productive citrus tree in a pot by centring it on your balcony or verandah. As you come out the door it should catch your eye immediately. Use a pot or container that is a different colour to the others so it makes a statement. Under-plant around the base of the tree with some colourful annuals or groundcover. Position plants lower on either side of the pot so the eye goes to the tree first as the highest point. Outdoor art can take many forms and be made from a wide range of materials. From pieces that sit in pots, on tables or furniture to wall mounted frames and collections, these can be a talking point and focus, or help theme your outdoor room. 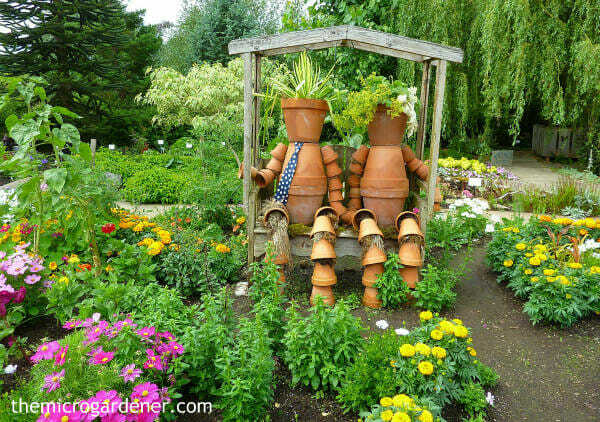 Flower pot men made out of terracotta pots and plants for ‘hair’ add a sense of fun. Get creative! 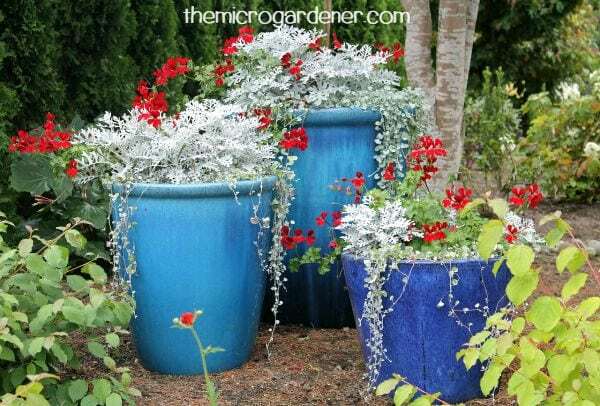 Edible art – with a little imagination, pots and containers with a highly productive food garden can also be a feature to highlight. One combination that works well is using the principle of proportion by putting a taller plant such as spring onions in the centre of a round pot and surround it with lower growing salad vegetables and herbs. Select plants with different textures and colours, so you can come up with a striking combination. Diverse leaf colours, patterns and shapes can look beautiful together. 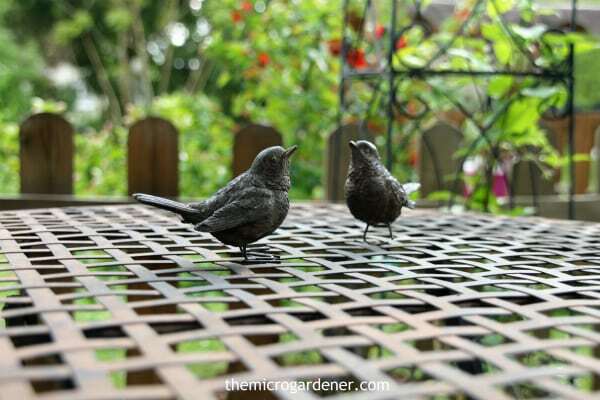 Furniture – Are a table and chairs the focal point in your garden? Then add some colour to the table with a living arrangement. It can be a real drawcard for the eye. Choose fragrant flowers and herbs to engage the senses even further. Try herbs that you can use as a freshly picked garnish when eating outdoors like parsley, coriander and chives. They provide wonderful digestive enzymes too. This may be challenging if you have a really small space and want to grow a lot of plants! However, overcrowding will only make access difficult and the overall use of the space challenging. Try to balance hard surfaces with the plants you select and avoid using too many different materials. Consider growing some plants indoors and spread them out to areas of the home where they suit the light conditions. Ferns for example love the humidity and lower light conditions in many bathrooms whereas outdoors they may take up too much valuable personal space that could be better used for other plants or furniture. 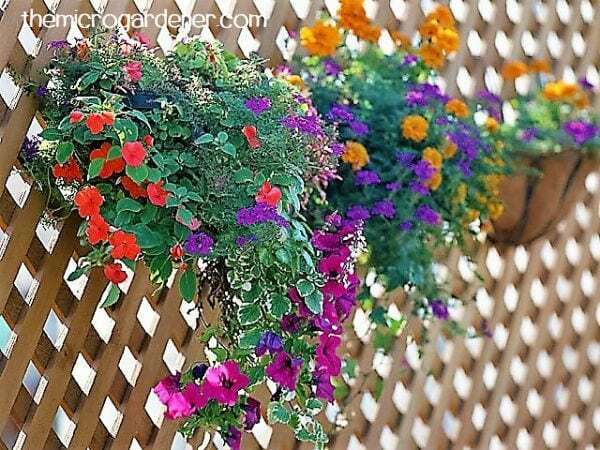 Use vertical spaces like walls, railings, containers and hanging baskets to free up floor space on a small deck or balcony. In some circumstances where you may have reduced sunlight, you may not have many options to grow flowering plants. You can still add colour and structure by choosing plants carefully. 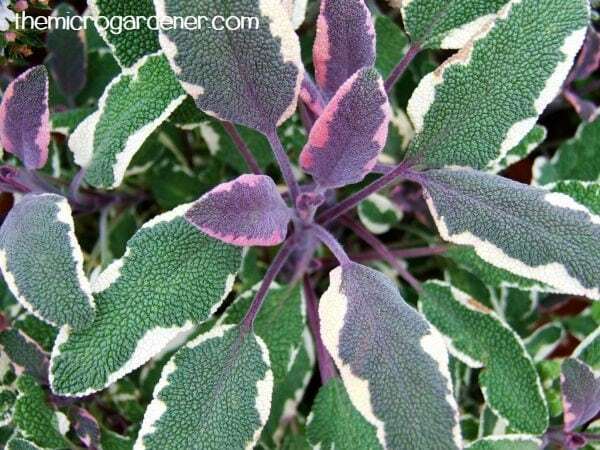 Another option is to include variegated foliage that typically have one colour on the inside and a second colour around the edge of the foliage. Some ornamental varieties are Cordylines, Dracaenas, Mandevilla, Rhoeo and Sanseveria. Many striking varieties can also be grown indoors to enhance indoor beauty and improve our air quality. 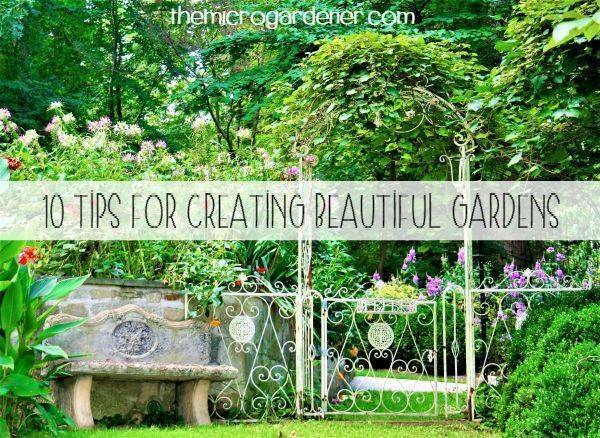 How have you added beauty to your garden? 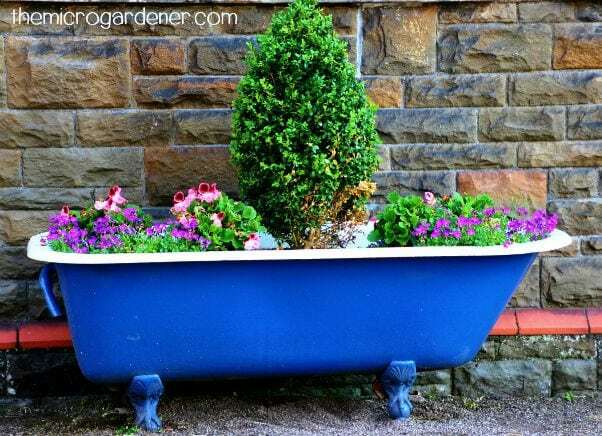 Feel free to share your tips on what you love about your garden or check out more inspirational design ideas, clever plant container ideas and themes for kids’ gardens. If you don’t want to miss future posts, join my free newsletter. Some links within this article are affiliate links. I only recommend products or services I use personally or believe will add value to my readers. If you purchase a product via an affiliate link, I will earn a small commission (and I mean REALLY small)! There is no additional cost to you. It’s a way you can support my site, so it’s a win-win for both of us. You directly support my ability to continue bringing you original, inspiring and educational content to help benefit your health. Thanks! Please read my Disclosure Statement for more details. It was helpful when you said that you can consider mulching to deter weeds from growing. 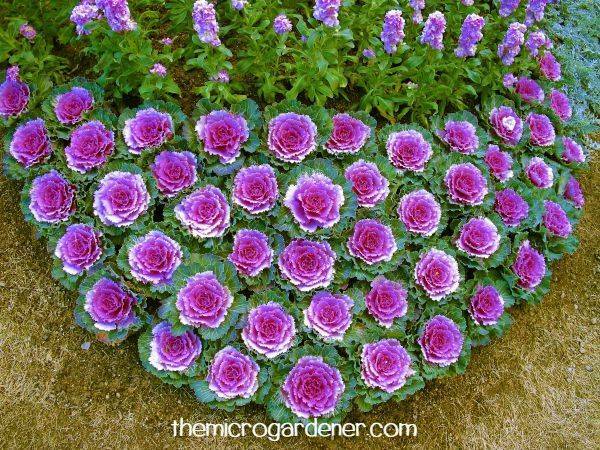 This is something that I will consider because I want my garden to look as appealing as possible. My daughter said that she finds my garden boring and lifeless. It’s the place where I entertain my guests. By the way, I’m interested in shopping for realistic sculptures that can give more life to it. Mulching is like framing your garden with a top layer or organic matter or materials to help keep the soil moist and many other benefits. This one addition can change the whole look and make it more appealing visually. I recommend you read this article on 20 Reasons Why you Should Mulch your Garden to learn more. Wow, some of those pictures were extremely beautiful. I never thought I can take terrace gardening to such artistic levels. Very well explained, this was something I have been looking for. Could you write a blog on vertical plantation? I am always looking for ways to optimize the small garden space that I have. Thanks Nehal. I have quite a few articles on vertical gardening under the Vertical Gardening category in my online library. I love how this article talked about adding some garden art to add character to the garden. I’m doing some improvements in my garden, and I’m looking for unique and beautiful decors to accentuate the pots and walls. Thanks for the advice on adding fabrics with contrasting colors to decorate a bare wall. I think it will compliment my garden perfectly! Wow this is a wonderful blog. I love gardening…this blog is very helpful post…I have a small garden, I surely try your 7 number point, CREATE UNITY AND DIVERSITY. Many many thanks for 7 number point. I like that you suggested how you can consider adding fragrant flowers and herbs to your table in the garden if it serves as your focal point because it can be an eye catcher feature. My husband bought me a new house with a bigger garden, and I’m looking to decorate it. At the moment, I’m too busy at work, so I’m interested to find items that I can buy online to decorate my garden. 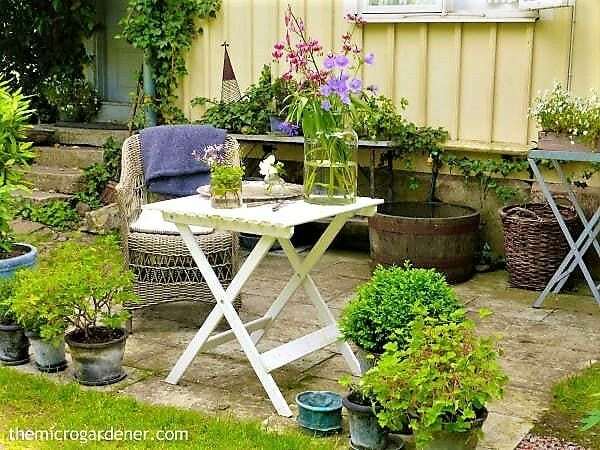 I have a set of table and chair in my garden, so I’ll make sure to consider your tip to add fragrant flowers and herbs to it. Thanks for sharing! Great tips! I will definitely apply these tips in my garden. Thanks for sharing. I appreciate you providing some tips on how to decorate your garden with minimal space required such as adding some garden art. You may want to rearrange your pots and plants and think of a theme that would somehow reflect your personality. This way, you can bring life to your garden, and it will surely catch the attention of your guests and visitors. I would definitely take this into account the next time I buy some decors online. Thanks. I’ve been wanting to update my garden for this summer, but I don’t know how to pick the right plants. Looking for contrasting colors and foliage wasn’t something that I even thought of! I think going to a nursery and studying the colors and shapes will help me figure out exactly what I want, and what looks good together. Thanks for the advice! I want to give my garden some more personality. It makes sense that I would want to get some nice decorations! I think I could definitely start with some nice plant pots. Such an inspiring article! 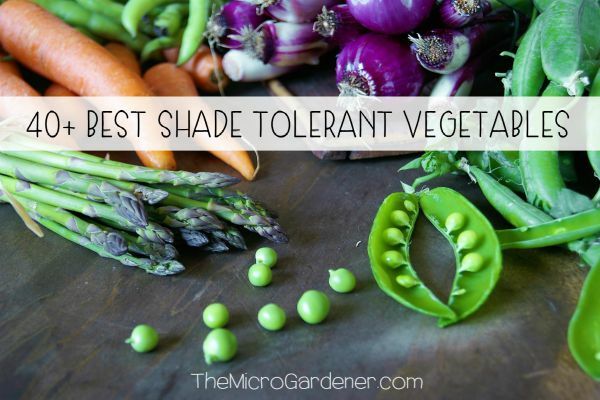 There’s so much you can do to make your garden work for you as this article states. We have yet to decide on setting up decor for our garden but I enjoy seeking my finds in flea markets and salvage stores. You get the most unusual and I do grow my plants in tires too! I like your advice to add flowers or flowering plants to your garden. I just moved into a new place, and we actually have a backyard now. Now, I just want to keep it clean. 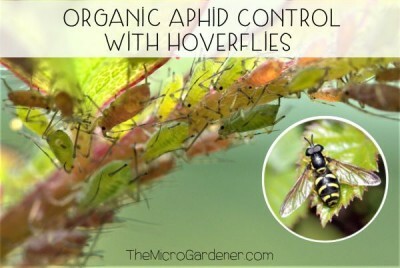 Adding flowers or flowering plants may be good for my home. 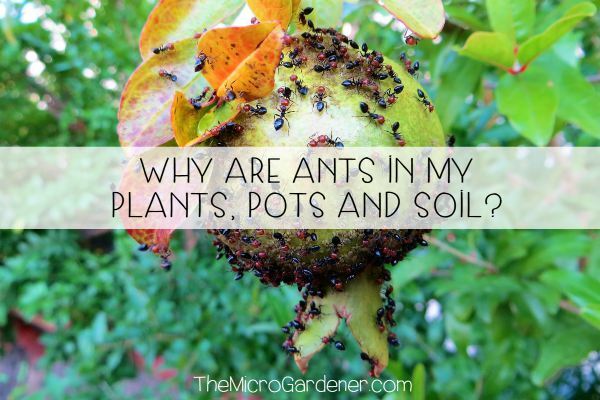 Do you have any other tips about caring for your garden? Thanks Johnny. 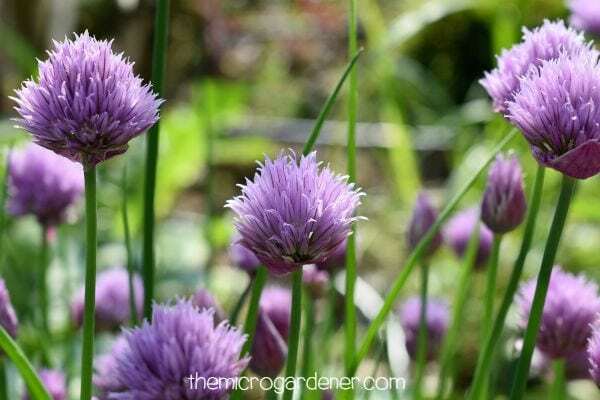 Check out my free articles in the Garden Maintenance, Planning and Design category for more tips. This is helpful for the people who love gardening. Edible art is a great idea, my parents used to do this when I was a kid! Well before their times I bet 🙂 Thanks for the article. My mom is coming to visit me at my house and I’d like to have my garden complete to show her when she comes. It’s not decorated yet, but I’m looking for birdhouses or other unique pieces of art that I could incorporate. I really like your tip about adding some garden art that reflects your personality or adds some character. If I channel my personality into the garden decor, I am bound to have lots of unique pieces that stand out. Thanks for all these awesome tips! Wonderful blog! I have a small terrace garden. I will surely try some of the tips motioning here. Specially point no 4…the robot kind structure is looking awesome. 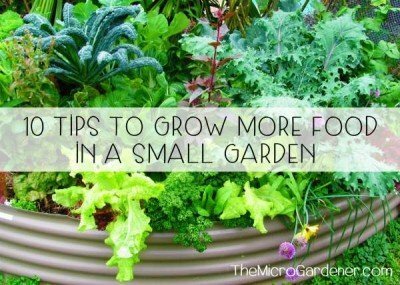 Hi Anne, I’m excited to see your blog growing and thriving along with your garden:) Look forward to helping you more – my email is annabelcandy at gmail dot com Keep up the good work here.